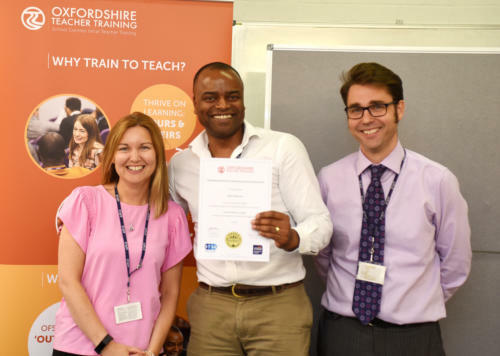 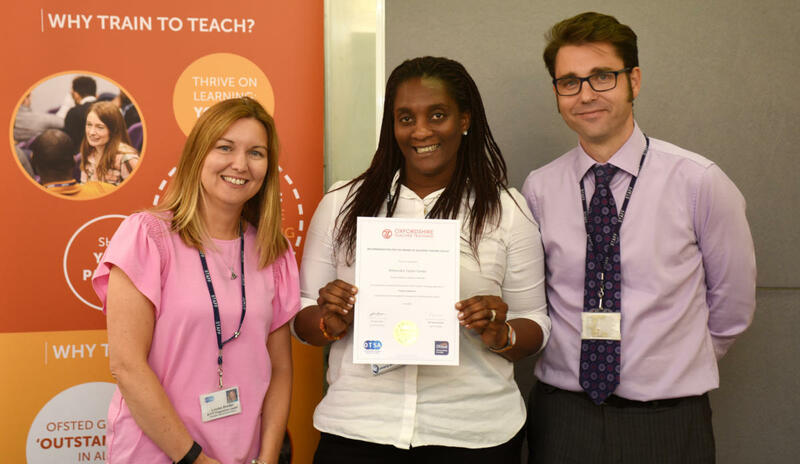 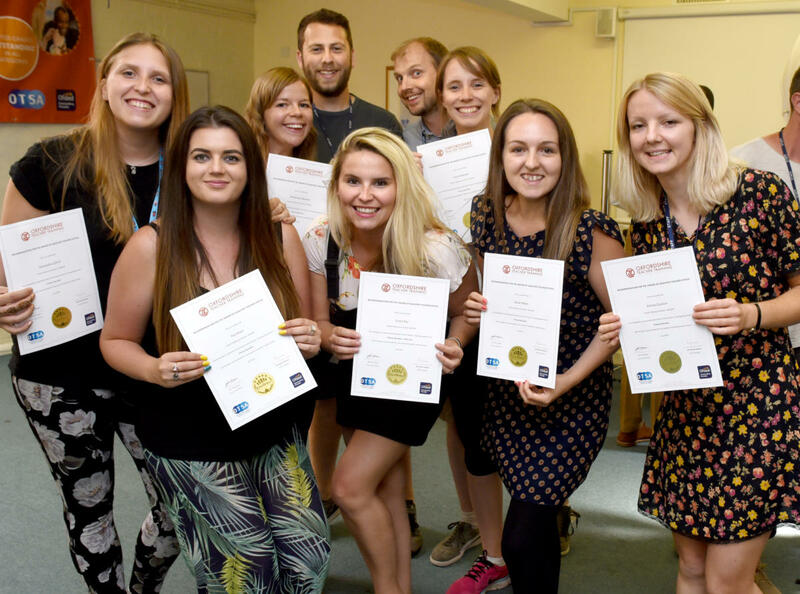 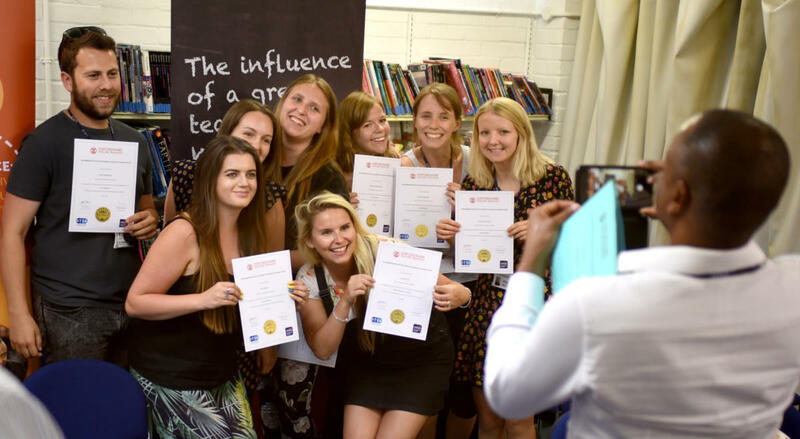 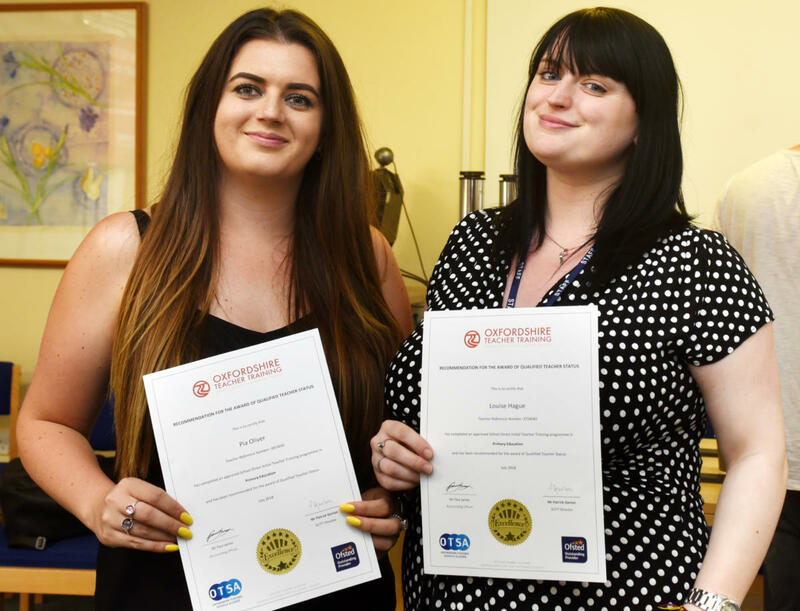 It was graduation day at The Cherwell School last week for the salaried cohort of OTT trainees. 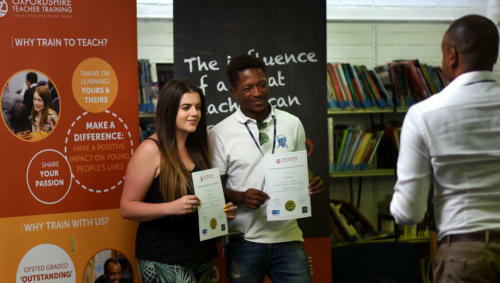 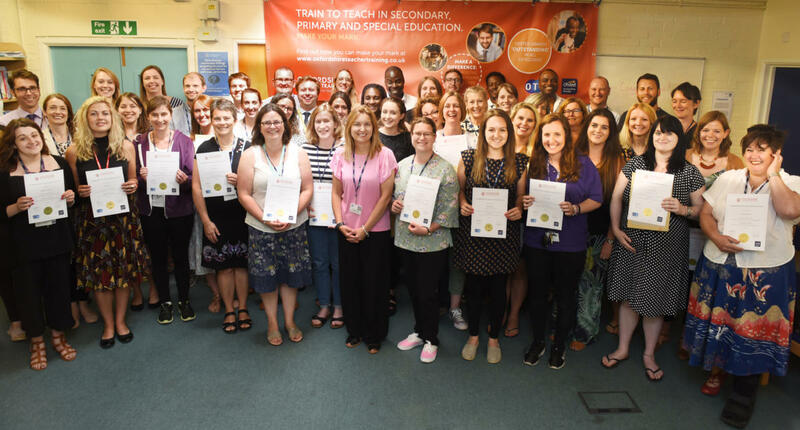 Certificates were handed out to mark the gaining of Qualified Teacher Status by 47 trainees – 22 of whom had qualified in secondary schools and 25 in primaries. 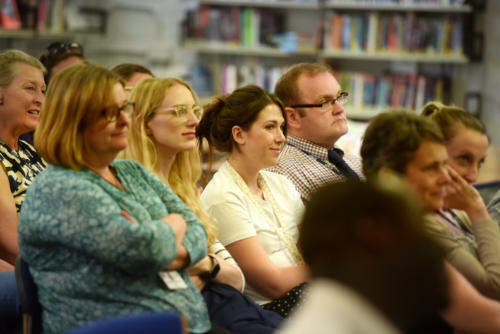 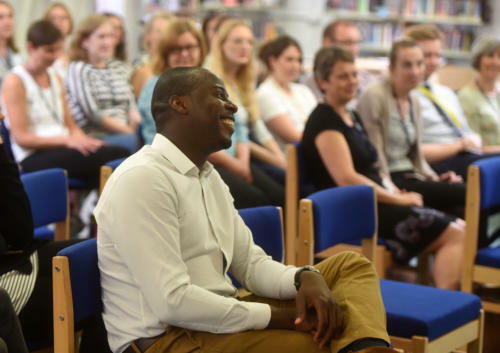 to exciting new roles and more than 90 per cent will be working in Oxfordshire schools. 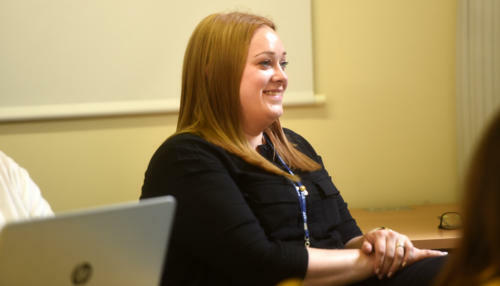 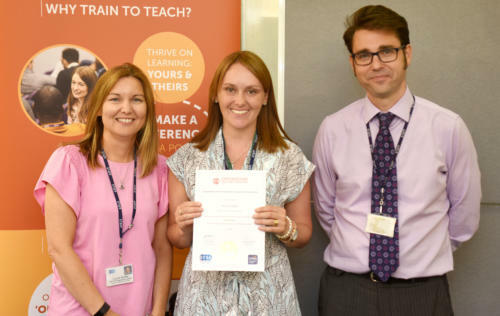 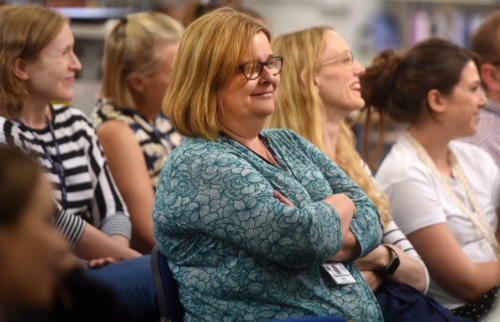 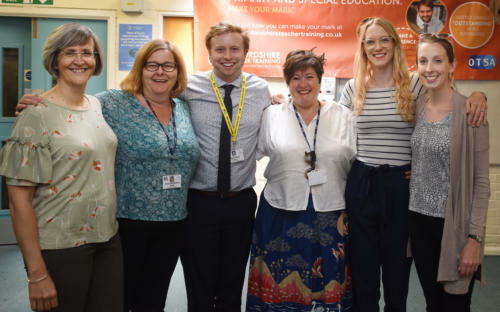 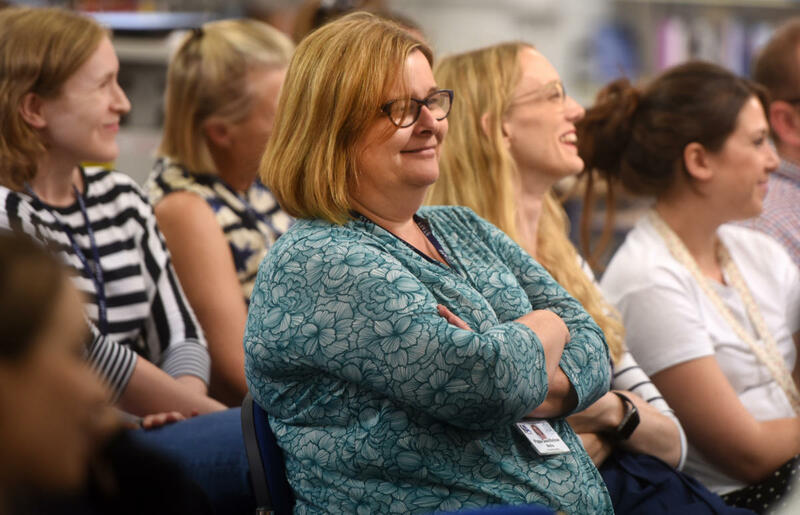 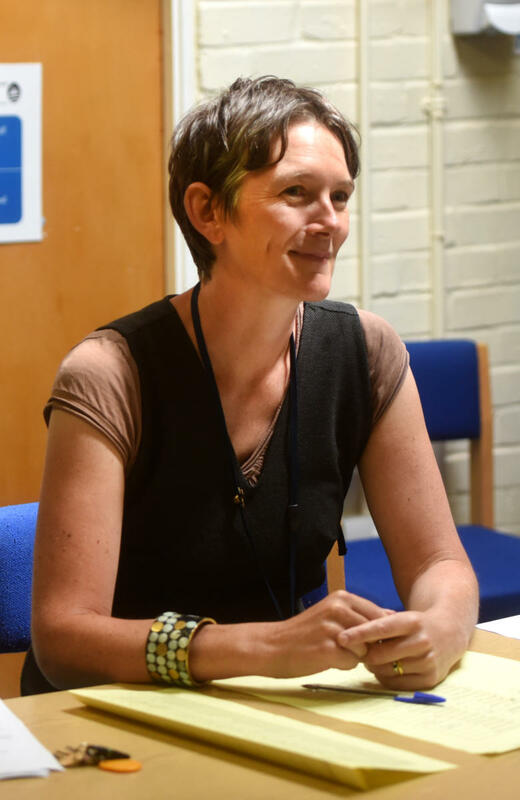 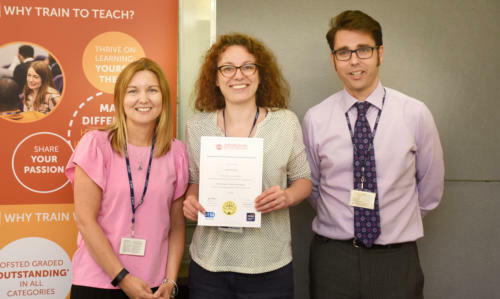 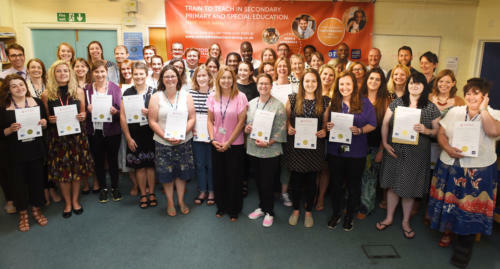 Salaried programme leader Louise Border gave a short speech in which she highlighted the hard work and enthusiasm of this year’s cohort, as well as the commitment of the SCITT staff. 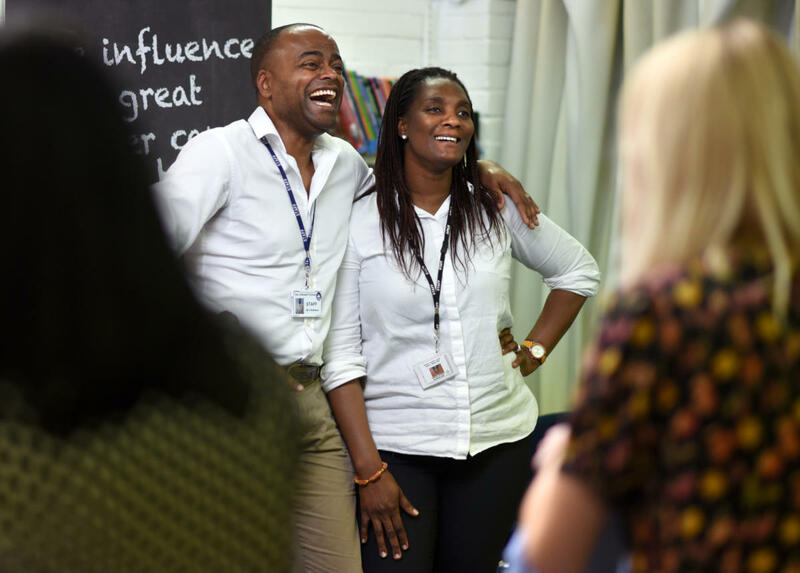 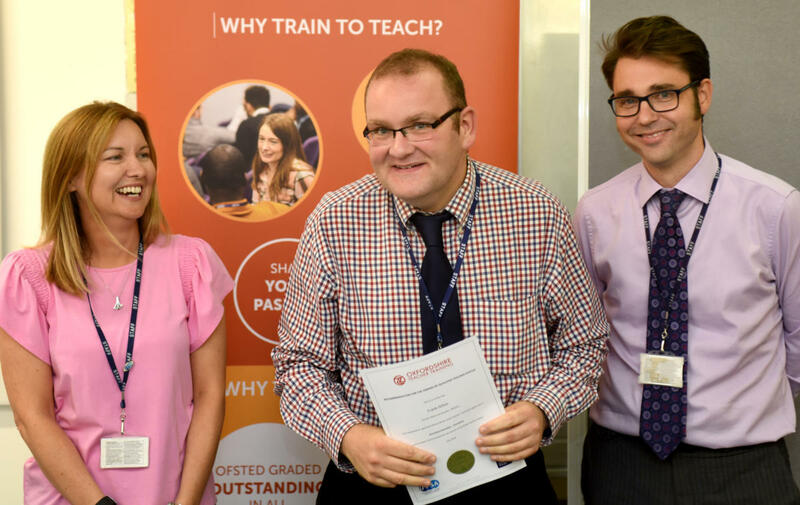 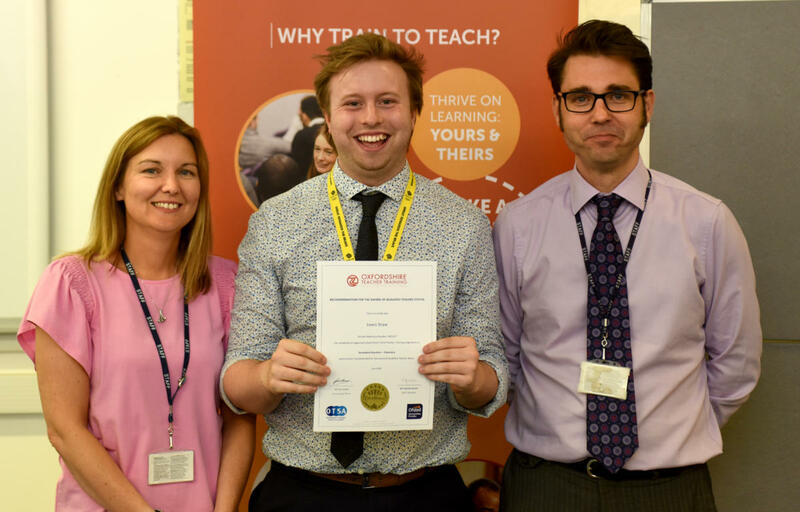 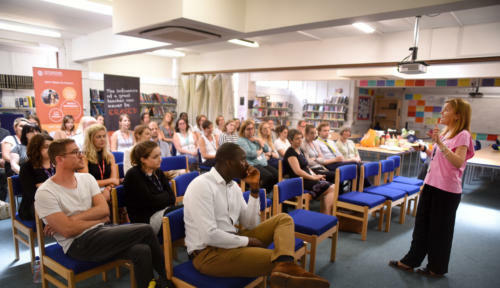 OTT director Patrick Garton then spoke about the important role of teaching and how the trainees should always strive to make a difference to young people’s lives. The awkwardness of the recent non-salaried graduation ceremony, when Patrick was the only senior SCITT staff member not to receive a teddy bear as a gift, was avoided. 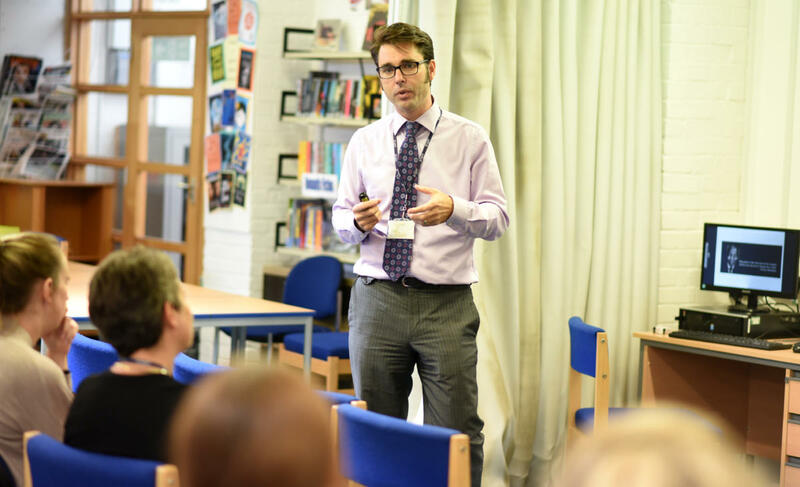 On this occasion no bears were handed out. Then it was off out into the sunshine to celebrate with home-baked cakes (who says modern teachers don’t have time to do the good things in life?) 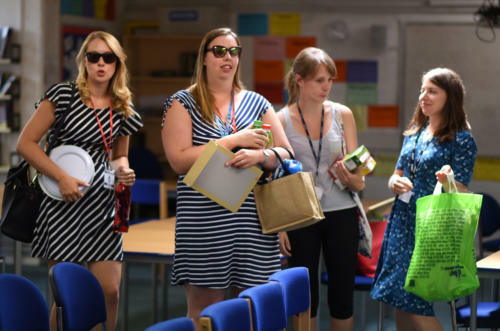 and grape juice in Champagne flutes (we were on school grounds). Some of the graduates carried on celebrating afterwards but were very aware that they were back teaching again the next day.